I could imagine everyone's faces when the news about Lee Min Ho and Park Shin Hye pairing on the newest Korean drama, Heirs came about. Who's excited? Ahhh! Can't help it, I'm suuuuper excited. The pretty faces of my favorite Korean cosmetic brand, Etude House will finally have their own drama! 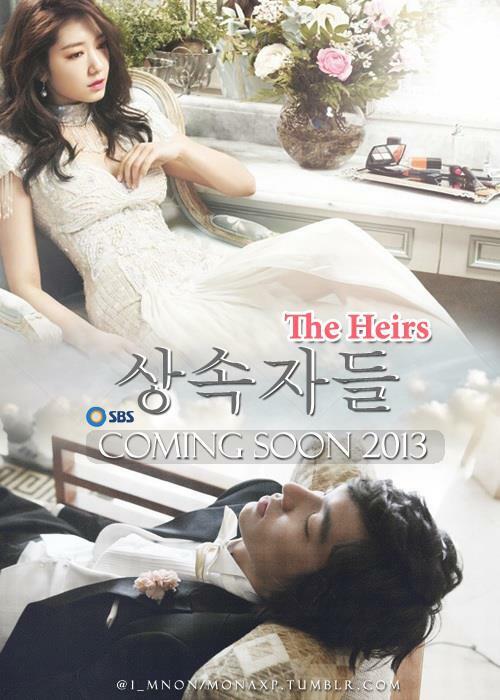 It's confirmed, it's finally happening this October 9, 2013 on SBS! Too bad for Filipino fans because we don't have an SBS network channel here in our cable, but, we can always look forward to all the generous uploader/s out there. Set your calendars loves! Haha. Me too, the pineapple hairstyle that would take half a day just to make them look straight (oooh, BOF days!! ).